Global trade enabler, DP World operated Nhava Sheva (India) Gateway Terminal recently handled the heaviest single lift parcel at Jawaharlal Nehru Port (JNPT). 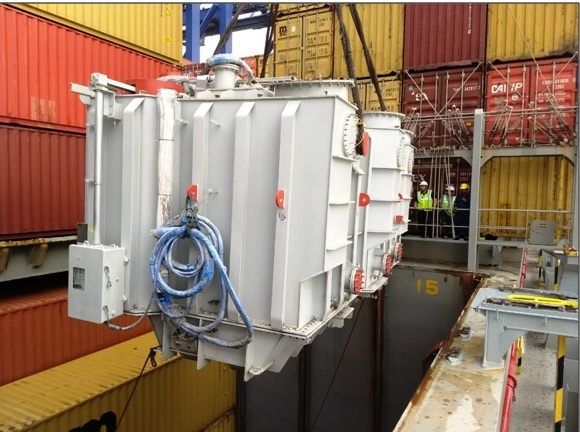 The cargo consisting of two packages, each weighing 115 metric tonnes, were loaded onto MSCMaria Elena deployed under the IPAK service connecting India and Europe. NSIGT is a model for future port development in India and is equipped with state of the art infrastructure to handle cargo at this scale. With this, the terminal has surpassed its last breakbulk cargo handling record of 100 metric tonnes.